Data Deposit Box first opened its doors in the year 2002 with the simple idea that all PCs should have backup (back then iPhones and tablets didn’t exist). 12 years and 60,000+ business customers later Data Deposit Box has gained an unparalleled amount of industry knowledge that we want to share with you through our blog. If a backup vendor is trying to sell you on “one size fits all” run! 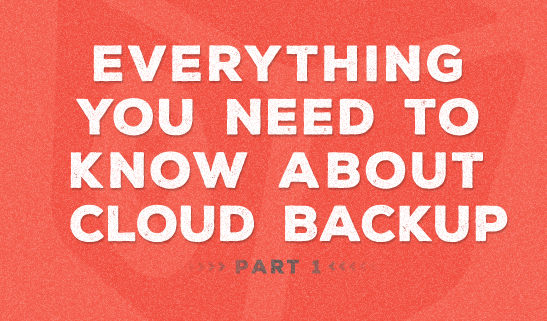 Should you get on the cloud backup bandwagon? Security should be your biggest concern. Don’t worry we have you covered! What is hybrid backup and why should your business have it? Looking to get into the cloud backup business? Should you build or buy? For more information about our three fold backup client options, call us at 1.868.430.2406 or send an email to sales@datadepositbox.com. Do not trust your important data to a company that does not understand the importance of matching your system to the right product, use Data Deposit Box for your current and future cloud backup needs.